My Design File has unique information that is required for my macro to run. How can I set Design Files and dispatch that macro through Geocue? 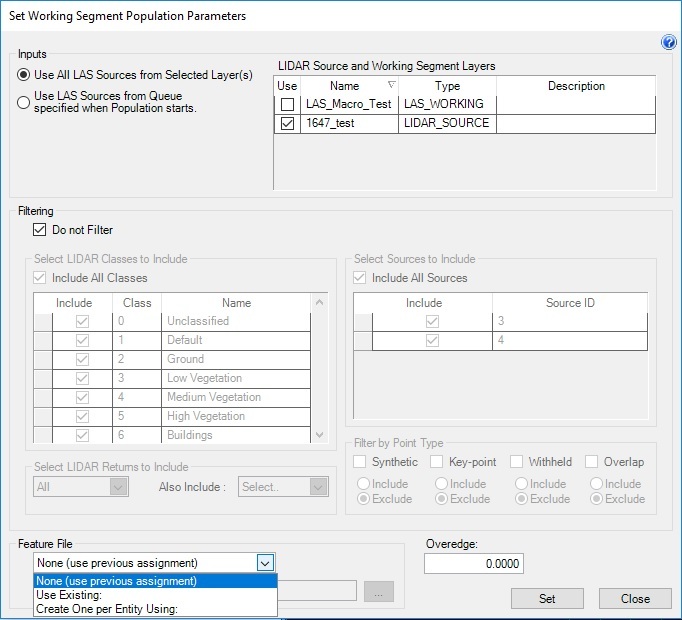 Access “Set Population Parameters” though the working set you wish to assign the Design File (DGN) to. When the dialogue box appears, choose the Feature File drop down menu. Fig.1: Setting DGN through “Set Working Segment Population Parameters”. Select the “Utilities” tab on TerraScan Direct Drive Checklist and launch “Set Design File”. Fig.2: Choosing “Set Design File” through Direct Drive Checklist. Once your design file has been set you can adjust your macro settings in TerraScan Macro Settings in Geocue Macro Catalog to “Use from Working Segment”.